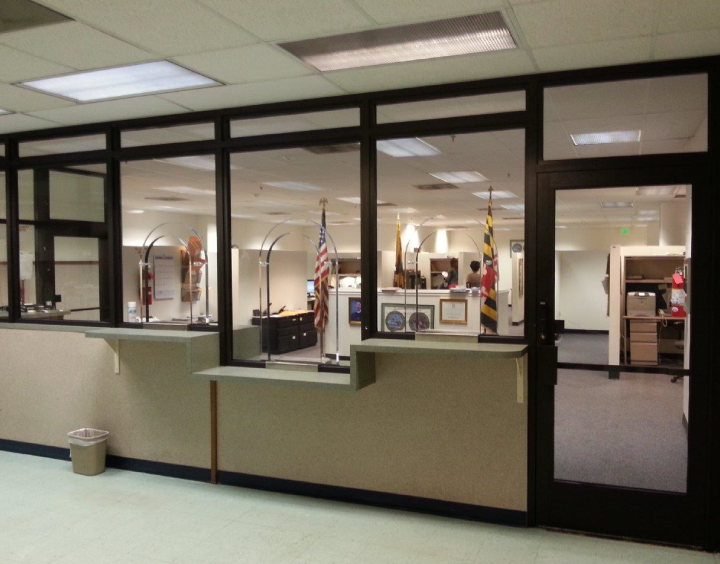 Is Your Municipal Building Security Plan Up-to-Date? 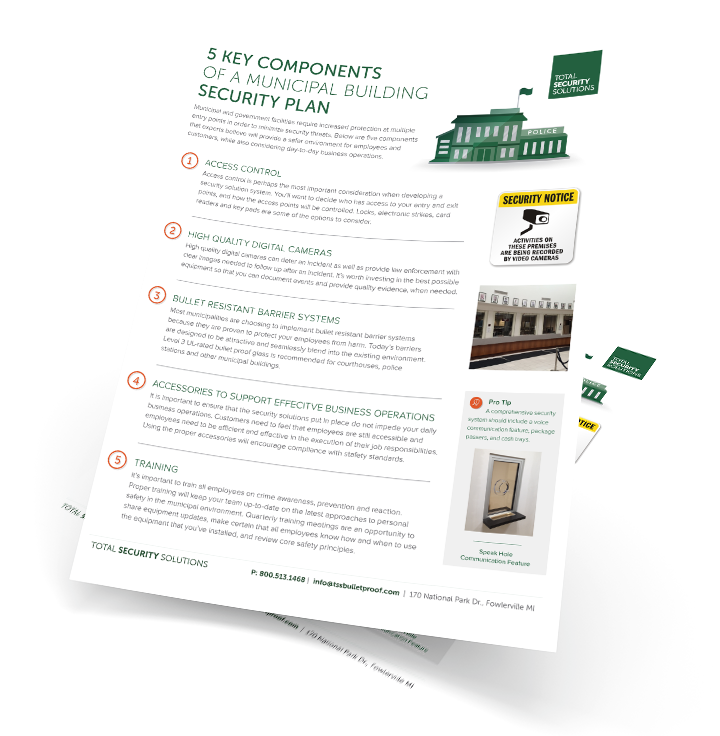 Learn how to protect your employees and visitors, and prepare your staff for upgrades or changes. 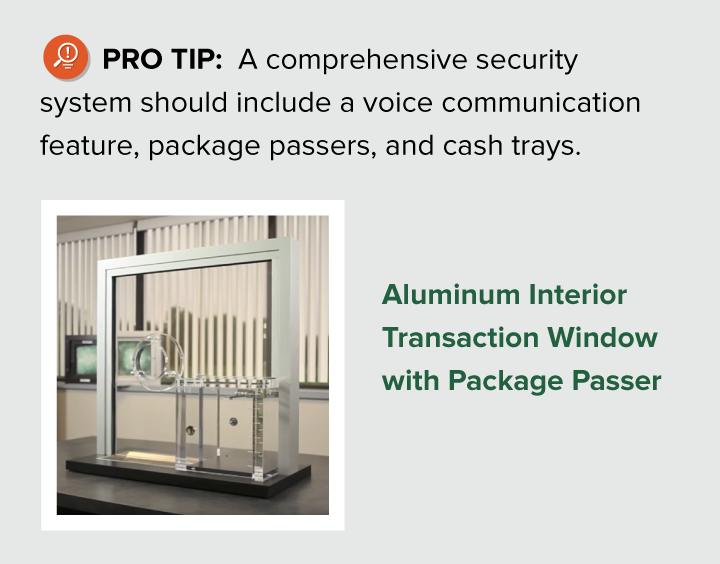 A leader in the bulletproof industry, TSS has decades of experience and is guided by three core principles: customer service, customization, and speed. 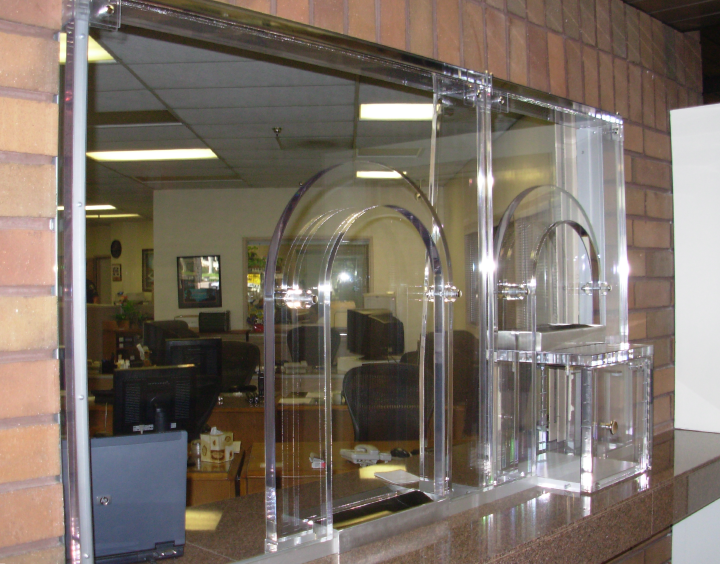 Our design and installation experts will work hard to deliver a customized, bullet resistant system that meets your needs, looks and fits your budget.